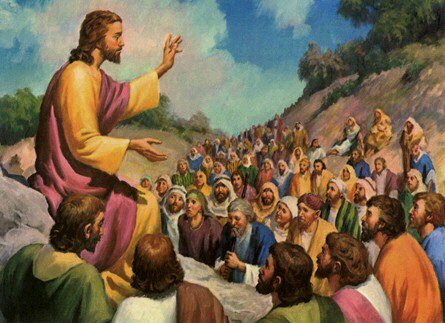 Jesus was teaching to the crowd that gathered around him. Jesus is telling us that we should not always tend to point out the faults of other people. We should look at ourselves and we will find that we are sinners too. Therefore do not judge anyone because people may use your weak point and make the judgment back at you. We should not judge people with the same sin that we accept and practice every day. We should first look into ourselves and correct all the sins in us, then we will have the power to rightly make judgment on other people’s faults and help them. Through this story, Jesus also is telling us to love our neighbors with charity. God wants us to live a life of genuine charity towards our neighbors. We must express our affection and charity towards our neighbors sincerely and not just always wanting to point out their faults. Jesus wants us to show sincere good will to our neighbors. Thanks for stopping by, and the comment. Sorry I don’t recognize the language otherwise I’d translate it, and reply specifically to your comments.